About Gabriela C. Message Gabriela C.
TOUR GUIDE RESPONSE: Ha ha !! Thank you so much, Frank and Rosa! Now I definitely have extensive experience with Cubans !! I hope many more to to visit. Excellent communicator from prior to booking the tour to the time we parted ways at the end of the tour. She is knowledgeable. If you want to be given a lot of historical / art information (she can) or if you only want to be given the hi-lights (she will adapt). Her use of the English language was easy to understand. We felt as if we had known Gabriela for many, many years even though this was the first time meeting her. We highly recommend Gabriela !! TOUR GUIDE RESPONSE: Thank you soooo much, Melinda !! I hope your trip further was a blast !! Gabriela was a full of fantastic information that was relevant to the tour. She is extremely personable, easy to talk to, very friendly, all the while being very professional. She puts a fun dramatic spin when entering a location for that total wow moment. She listened to my wish list before putting together the tour. It was everything I expected and hoped it would be, even got a little Metro lesson. I enjoyed my time with her and learning more about Paris the day could not have been better. TOUR GUIDE RESPONSE: A ha ha ! That dramatic spin ! I am so happy you enjoyed the tour !! TOUR GUIDE RESPONSE: That you dear Fatima. Our tour with Gabriela was the highlight of our trip to Paris. My 16-year-old niece and I spent a wonderful day with Gabriela discussing art, history, architecture and learning special anecdotes about Paris that we will remember always. She was warm and welcoming and we immediately felt comfortable with her. She knew her way around the city so well and even a secret way of getting into the Louvre with almost zero wait time! Merci beaucoup Gabriela for a wonderful, educational and fun day together! Hugs! TOUR GUIDE RESPONSE: Thank you Doreen!! We spent a wonderful day together. Next time in NYC! I highly recommend this tour with Gabriela! She knows the area well and is generous in sharing her experience and knowledge. I had visited this area previously some years ago, but she revealed lots that I didn't know and would not have found on my own. Thoroughly enjoyed my Walk around Marais with Gabriela: she is engaged, informative, flexible and friendly. I had seen the Marais before, but she showed me areas I had never seen. Highly recommended! Gabriela is knowledgeable, friendly, engaging, and delightful. I was immediately comfortable with her. She was my guide for 1.5 days. She provided exactly what I wanted and I put a lot of it in her hands to decide (once I gave a very general description of what I wanted). I looked forward to seeing her the second day. I've already referred family to her. I would definitely request her again. The tour was very enjoyable and Gabriela is definitely what made it so much fun. TOUR GUIDE RESPONSE: Thank you so, so much !! We had so much fun and got to see quite a bit despite the cold weather ! I wish all my travelers were like you, Denise! Gabriela was prompt,very personable with vast knowledge of history and art with great language skills. Our tour with her was the highlight of our time in Paris. She was able to show us all the sites we had hoped to see plus more. An added bonus was the pictures she takes while on the tour. TOUR GUIDE RESPONSE: Thank you Fred ! Your pictures are on the way ! Gabriela was wonderful. We wish you had more stars to rate her higher as she was a wonderful guide for our group of 6. Her knowledge of French and world history helps her tell a story that kept you hanging on every word. We left her wishing we could take her with us for the rest of our adventure. If we were asked to grade her on a scale of 1 to 10 we would give her a 37!!! We miss her already! We saw Paris through a younger set of eyes that made our day informative and entertaining. Thank you Gabbie! Gabriela is fantastic! We went on the left bank tour-my husband and two children(11 &14). She knew so much about the area, history, and current events. Bravo! TOUR GUIDE RESPONSE: Thanks Andrea - I had a lot of fun with you and your family ! We enjoyed our time with Gabriela very much, the tour was full of energy and passion. Thank you for a wonderful day. Gabriela is very knowledgeable and pleasant to be around - a dream for a tourist who wants to learn about Paris at his own pace. Very very impressed! TOUR GUIDE RESPONSE: Thank you !! We were so impressed with Gabriela's knowledge of Paris and French history!!! In one day we learnt more than during all those boring lessons in school! She loves the subject and makes you love it too. Lots of thanks to Gabriela! TOUR GUIDE RESPONSE: It was such a great pleasure to tour with you ! Gabriela is amazing friendly and extremely knowledgeable. I would recommend her to anyone visiting Paris. Our tour was completely customized and ran smoothly. My wife and I were more than happy with our day. TOUR GUIDE RESPONSE: Thanks so much ! We had a loverly day ! Gabriela's fluent English and her intimate knowledge of Paris and its history made for the best day of my visit. Sharing the pictures she took was an added bonus. I highly recommend and thank Gabi for her time. Our first tour guide experience and we are "hooked". Gabrielle arrived promptly, creatively listened to what we had already seen, and designed a tour experience for us that was a true highlight of our trip to Paris. As we were fit for walking and I enjoy photography we were able to see areas of the city we would never have discovered on our own. Would look forward to booking with her in the future. TOUR GUIDE RESPONSE: Thank you !! We had a great deal of fun at Belleville and Canal St. Martin ! We not only received the customized tour we asked for, but we had a wonderful conversation partner in our guide. 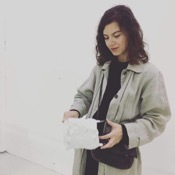 We talked with Gabriela about history, culture, social issues, the general creativity of Paris and so much more. This was a unique experience that we are already recommending to others! TOUR GUIDE RESPONSE: It was my pleasure ! Ca m'a fait plaisir de vous parler en francais ! Gabriella was great. She arrived at our meeting point promptly and gave us a wonderful tour even though we totally changed our itinerary. She was very knowledgeable and informative throughout. We would certainly book another tour with Gabriella without hesitation. TOUR GUIDE RESPONSE: Thank you Tim ! I sent you the pictures as well ! Gabi was a wonderful guide and the perfect introduction to our Paris adventure. We met with her for a half day when we arrived. She was very well spoken and warm. She acclimated us to the city and gave us lots of insights into everything we saw. She also - quite sneakily - took many photos of us as we walked. Those turned out to be the best photos of our trip. I would recommend Gabi to anyone looking for a personable and educated guide. We had a wonderfful afternoon & evening with Gabi. She took as on a whirlwind tour of all the highlights of Paris. I wanted to shop and find some unique items for my mixed media art. We saw so much, enjoyed a late lunch on the steps of Montmartre watching the sunset. French wine & a baguett sandwich. The wine shop even gave us wine glasses for our picnic. Gabi knows how to show you the sights and then duck into back streets to see the real Paris. She made sure we got back on the right train to airport. TOUR GUIDE RESPONSE: Thank you Deb and Greg ! We had a wonderful time enjoying the sunny Sunday in Paris ! Gabriela is one of the best tour guide that I ever have. 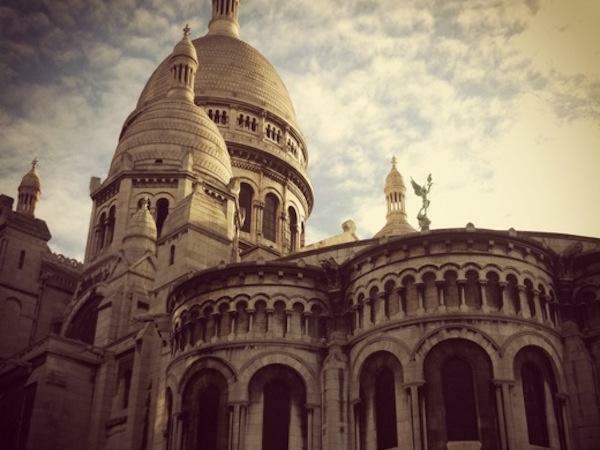 I truly enjoyed the custom 4 hours tour of Sacre Coeur / Montmartre and Ile de la Cité. She was punctual, very informative, and friendly. She made the tour very interesting. The time went by so quickly that I wished that I booked a full day tour instead. I also love the tour photos that she took for me with her camera. TOUR GUIDE RESPONSE: Thank you so much Pairach !! I had an awesome time !! After a hectic day at Versailles, our tour with Gabriela strolling through the islands was just about perfect. She was very knowledgable about the islands such as the history, architecture and even the cool shops and restaurants to visit. We even had a very engaging discussion about Haussman and his major impact on the landscape of Paris and especially the islands. She's both friendly and energetic and her enthusiasm for Paris and it's history was quite evident and it all made for a most wonderful tour. Gabriela is an excellent guide for your Paris tour. She helped to craft a custom tour focusing on my interest in Medieval Paris sites. Gabriela was punctual and communicated with me frequently before my arrival in France to be sure to create a tour specifically for my interests. Gabriela also takes photos during the tour (which is a nice touch for solo travelers) and will email these to you after the tour. Though very professional, Gabriela is a friendly and intelligent companion. I recommend her highly. TOUR GUIDE RESPONSE: Thank you John ! I enjoyed our tour and I hope your students will like the pictures !! Very informative and friendly guide. We enjoyed our tour and would encourage others to use her. TOUR GUIDE RESPONSE: Thank you !! It was my pleasure !! Gabi - a very friendly knowledgeable guide, brought us around Paris for 3 hours, the time flew, and so did the miles under our legs! TOUR GUIDE RESPONSE: I enjoyed the time I spent with you and Holly ! Best of luck ! TOUR GUIDE RESPONSE: Thanks Gayle ! I very much enjoyed the tour through the Passages !! Gabriela is the best! She was punctual, prepared, very knowledgeable, friendly, polite and accommodating to slight detours, shopping assistance and dining suggestions. Her Russian and English are great. I will be sure to recommend tours by locals, and Gabriela specifically, to any friends visiting Paris. Thank you again for a great experience! TOUR GUIDE RESPONSE: Thank you Natalia ! It was great meeting you and I'm glad we got to the Rodin Museum, something definitely out of the ordinary tours. Excellent, lovely, knowledgeable tour guide. We loved every minute of it and Gabi is well worth spending time with. TOUR GUIDE RESPONSE: Thank you, Lisa !! I hope you got the email with the further suggestions and you'll be receiving the photos soon! What a delightful young lady. Very knowledgeable and even takes photos of you with her camera, and gives you the pictures. So eager to please, and shows you so many things on the walking tour Sincerely interested in our well being. Knows, History, art, food, all things of interest. One of the best guides we have ever used. Her English is perfect as she went to School in Los Angeles. TOUR GUIDE RESPONSE: It was my pleasure to meet you both !! Thank you ! Gabi was great! Met me at the hotel right on time. She had prepared a tentative walking tour prior to my arrival, which hit all of the sights I hoped to see. She explained what we were walking past in great ideal. I would not have known the true meaning of many things without her knowledge. Afterward she gave me great advice on what to see and when to see it. And I very much enjoyed chatting with her during our time. She also took photos of me, which she e-mailed quickly. I highly recommend her!! TOUR GUIDE RESPONSE: Great to meet you, Justin ! Gabriela was exactly what we were looking for for our tour! I and my daughters, 14 and 11, appreciated her intelligence, wit and patience with us. She had a lot of valuable information and was an extremely pleasant companion as well. I wish her luck in everything she does! TOUR GUIDE RESPONSE: Thanks Stefanie ! It was a pleasure spending time with you and your daughters ! Thanks to Gabriela, our visit of Paris was good. As people that have to plan over multiple years to make a trip like this, we would have wanted a understanding guide to help us get the maximum happiness from the visit. Gabriela just fitted in a role of a family firend more than the guide. I am happy to have made the wise choice for a guide. TOUR GUIDE RESPONSE: Thank you Balaji ! I had a great time with your family ! Gabriela was an excellent guide and my entire group enjoyed our tour with her a great deal. She was prompt, knowledgeable, and very flexible. She patiently answered all our questions and kindly took pictures of us, which she promptly sent to me. I highly recommend her and would not hesitate to use her services in the future. Gabriela was delightful, knowledgable, and prompt. I enjoyed my personal tour very much - especially after four days of fighting the crowds in Paris. I highly recommend Gabriela. TOUR GUIDE RESPONSE: Thank you, Paul ! I enjoyed meeting you ! This was a trip we took in 2011. Gabriela was not familiar with the city nor did she understand the history of it. She was a nice person but not a guide I would recommend. Gabriela does a nice tour. She is knowledgable of the city and keeps the tour moving nicely from one venue to the next. I would recommend her. TOUR GUIDE RESPONSE: Thank you Brian, I am glad you enjoyed the tour.